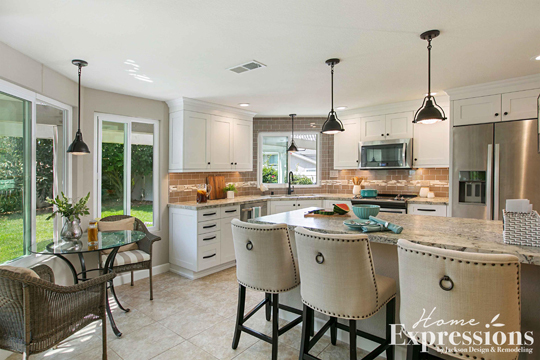 Stylish materials and appliances define this kitchen as a delight for cooks and guests alike in the open floor plan of a home near the beach. The magnificent island, illuminated by stunning modern light fixtures, boasts a countertop of quartz with a luxurious suede finish that replicates marble. 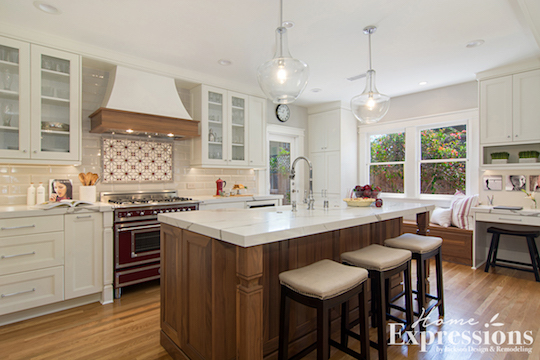 This engaging kitchen now welcomes entertaining while respecting the home’s Spanish design origins. 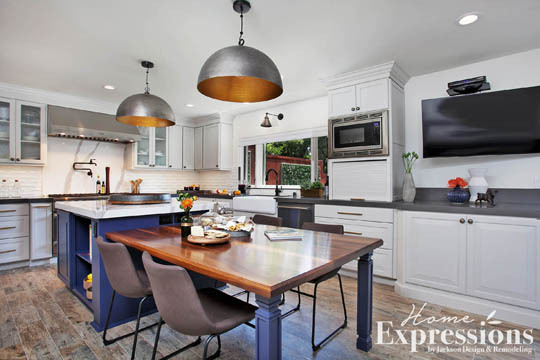 This cheerful Craftsman kitchen is now an appealing modern space that honors the home’s original character. The kitchen is classic, subtle and elegant in a “soft traditional” style with all the amenities people who love to cook and bake desire. 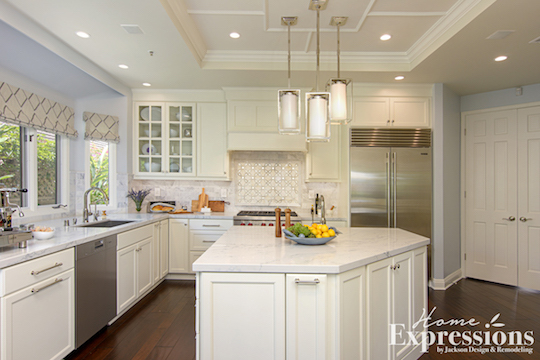 This revived family room and kitchen features a timeless look that makes the most of the lovely backyard view.